Apart from parental care, attention, and education, your child’s growth is often dependent on a few factors. One of these is sporting or physical activities. Sporting activities are healthy for child development, not just for the exercise. It can give them something to take pride in, fosters teamwork, and gives children and parents something to bond over. In fact, there is scientific evidence that sports and plays help with better academic performance and improved learning. The following are some of the major roles that sports play in the development of children. Sports among children are designed to toughen children up. 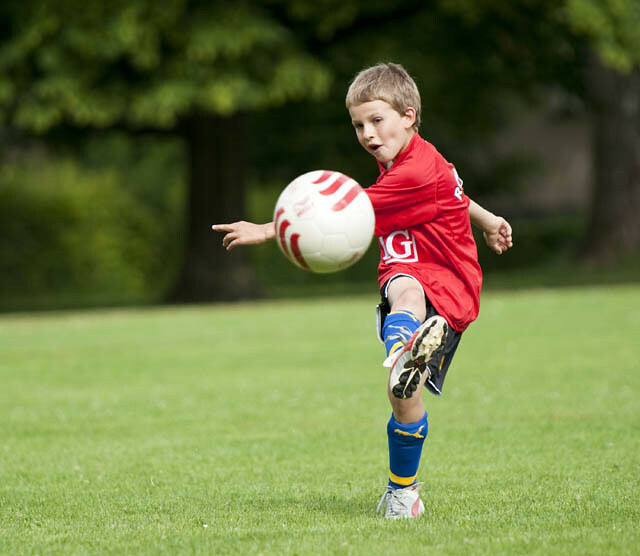 Now, it’s not just about improved muscle coordination; sporting activities help children think, make informed decisions based on the evidence available or available opportunities, as well as helps them develop their problem-solving skills. Children are, therefore, able to tackle problems on the field; a discipline that they will go on to apply to other aspects of their lives. When children and young adults engage in sports, they are often taught the basic principles of restraint, team building, team playing, selflessness, focus on a common goal, and persistence — these are all very useful traits to develop. When children are consistently trained using these concepts, it tends to become part of their character. As a result, parents will find that their kids tend to become more accommodating, less likely to throw temper tantrums, more disciplined and focused, and more understand the concept of delayed gratification. When kids do well in sports, they tend to feel good about themselves, and a child who feels good about themselves is more likely to become a well-rounded adult. This typically comes from a sense of accomplishment, even though they may not know it at the time, and the knowledge that they are capable of playing sports. It also provides an opportunity for parents to show their support. Take advantage of that to make the experience even more positive for them. Practice with them at home, give both praise for their accomplishments as well as supportive criticisms for how to improve. Attend all of their games. Be *that* parent, and fly a flag with the team colors on it. Build them up for their successes. As parents, you want your kids to get along with everyone else while still retaining their sense of identity and upholding the values you’ve instilled in them. Participating in sporting activities can help them achieve this. And that makes a lot of sense when you consider that a team’s success often lies in its players’ ability to get along with one another and understand that without one person/component, the team wouldn’t do well. With the rising cases of diabetes among children and teenagers, parents need to encourage their kids to become more physically active. Participating in sporting activities will encourage the children to get out more, become more physically active and lower their odds of becoming diabetic at a young age. It will also help them become physically stronger, and build their endurance. Rising cases of diabetes among children and teenagers, parents need to encourage their kids to become more physically active. Participating in sporting activities will encourage the children to get out more, become more physically active and lower their odds of becoming diabetic at a young age. It will also help them become physically stronger, and build their endurance. Have you ever seen a room full of kids all glued to their mobile devices, laughing to themselves and not actually talking to each other? Pretty weird, right? But nowadays, it’s a pretty common sight. This, in part, is due to the ubiquity of social networks and chatting platforms that essentially renders the need for “real” socialization moot. Getting your children involved in sports improves their ability to make new friends and become more sociable in the real world. Kids have abundant energy. Let them burn some of it off doing something that helps better prepare them for their lives beyond grade school. Survey says: everyone will sleep better for the effort. It’s 10PM: Don’t You Have Homework To Do? Have You Tried Bulu Box Yet? Since When Do You Have to Have Everything Your Brother Has?